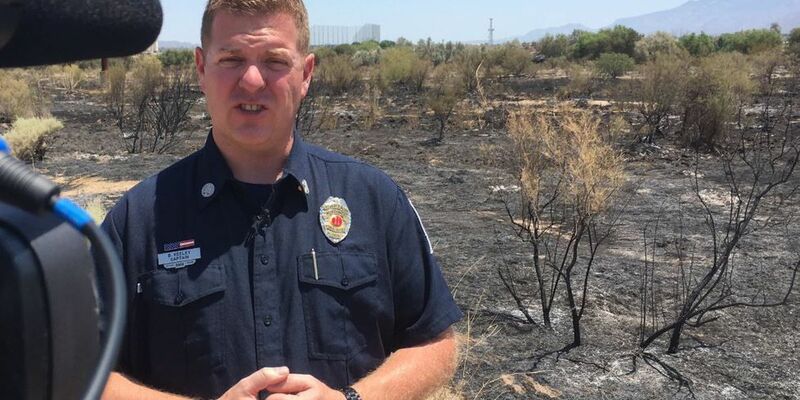 TUCSON, AZ (Tucson News Now) - No lives were lost, nobody was hurt and no structures were damaged in Thursday's fire that prompted more than 70 emergency personnel to respond to a portion of the Santa Cruz river northwest of Tucson. Investigators believe three smaller fires sparked the wind-driven flames Thursday evening, according to Northwest Fire District Captain Brian Keeley. He said the effort by multiple agencies was considered a success. Power lines are all along the riverbed, but not a single one was lost Thursday. Firefighters closed off Silverbell Road from Ina Road down to Sunset Road. Keeley said the cause of the fires are suspicious, so anyone with information about any strange activity in that area around 5 p.m. should contact local law enforcement. Medical emergencies are usually how firefighters make contact with the homeless camps, according to Keeley. He said any medical treatment is paired with fire awareness tips to keep the community safe, as well as a warning to leave the washes and rivers before monsoon flooding sweeps anyone away. "That's just community taking care of each other," he said. "It's just something that's part of the job and what we need to do."